Reading this lovely book has slowed me down. Lots of text and an incredible historical story have made this a book to savor. I plan to read it all no matter how long it takes! On a positive note, I’ve sold about 9 or 10 books. Off the shelves and out of the house. I some how feel a bit lighter. Onward! It’s given me new inspiration and hope that eventually my library will be a manageable and I’ll know where to find every book I own! 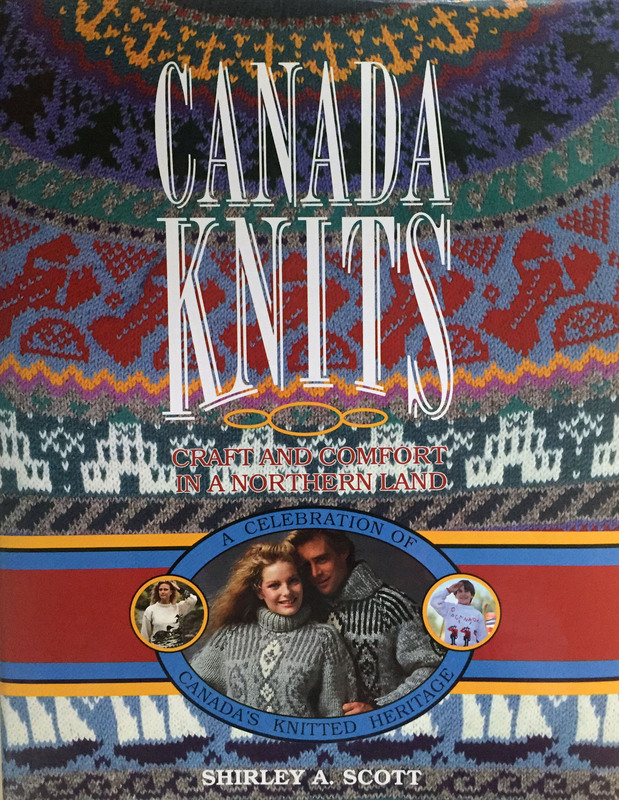 Why do I even own a book of the history of Canadian knitting? Is it my Canadian roots? Is it because I had met Shirley Scott (aka Shirl the Purl)? I really have no idea why I bought this book and have never read from cover to cover. It was published in 1990 so I have no excuse not to have read before now. Well I say – better late than never! What have I found out so far? 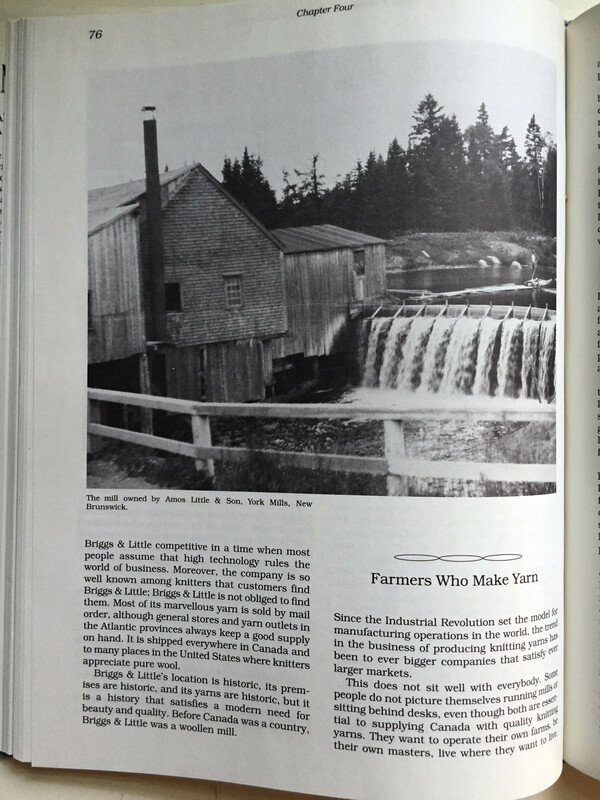 I’ve covered how knitting came to Canada and knitting from sea to sea. 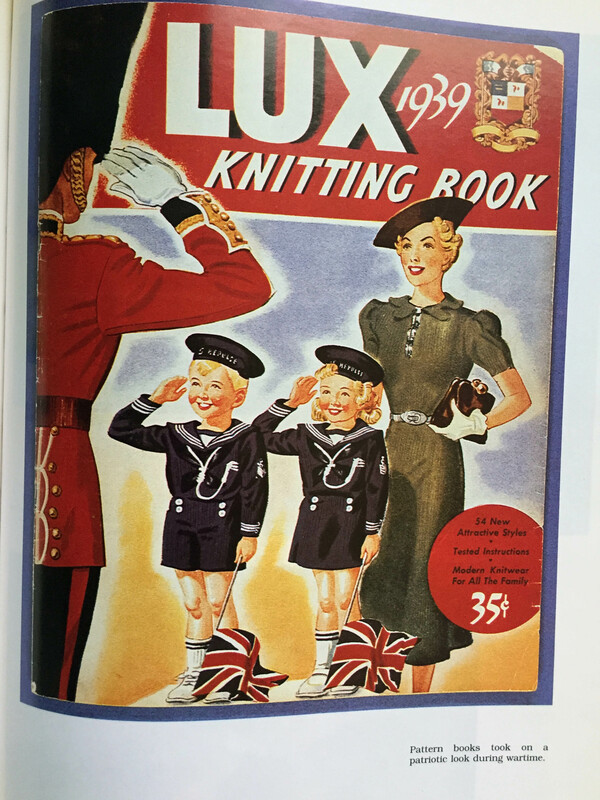 In Chapter 3, I learned what Canadians knit which includes war knitting, baby knits and some historical knits including wool long johns for year-round wearing. Can you only imagine? 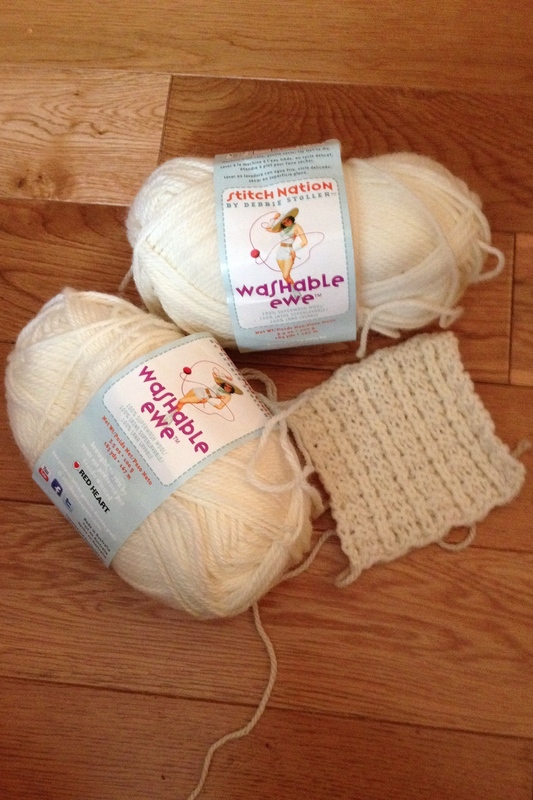 I’m in the middle of Canada’s knitting yarns. This will be my next post. Do I like the book? Yes. Is it worth a read? Yes. 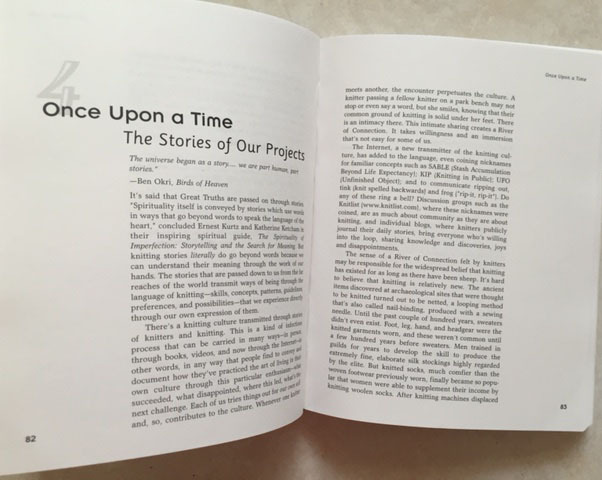 Will I keep the book? I’ll let you know next time and include a few more great pictures. 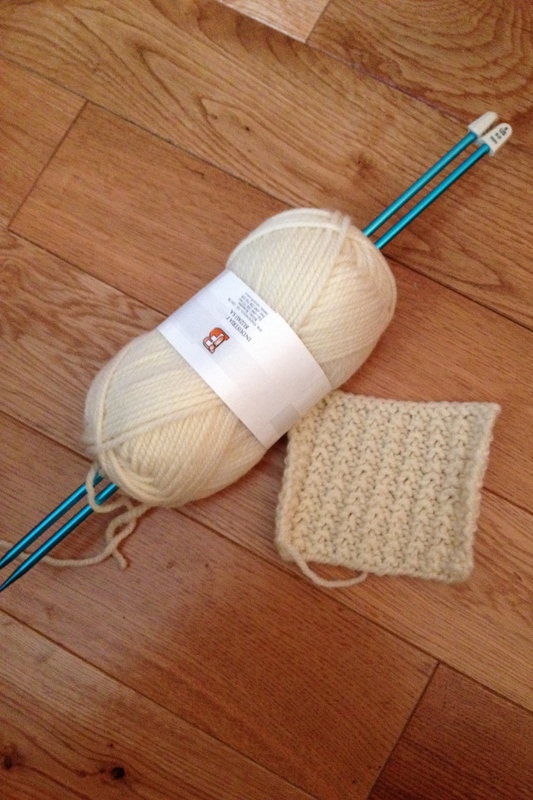 Aran Knitting – Take 2! 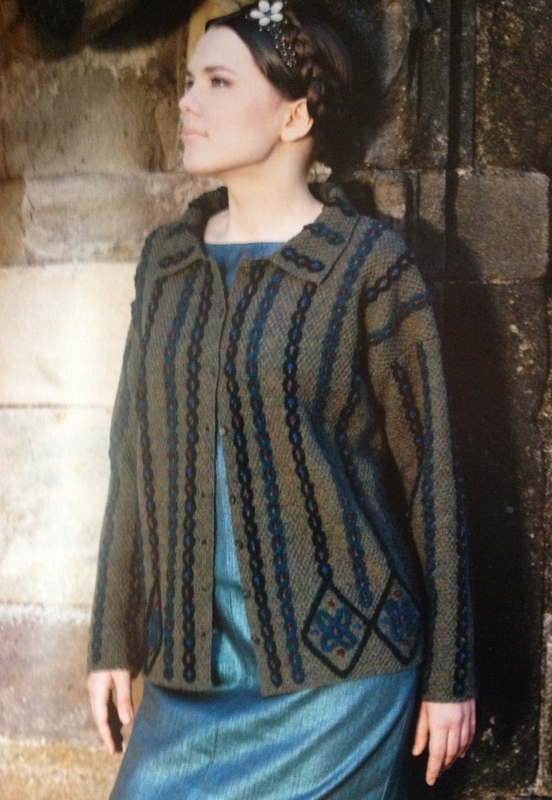 OK – I really have been reading the background on Aran Knitting. 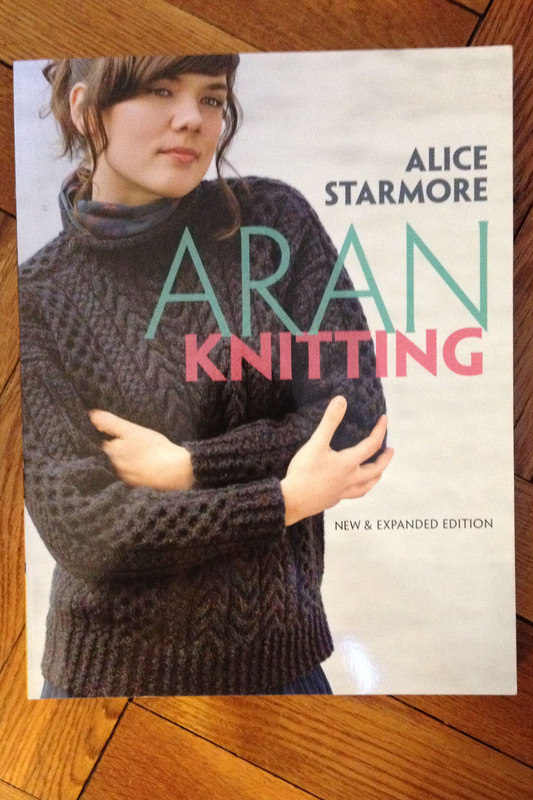 It’s really hard to put it into words, but here’s what I’ve learned about the history of Aran Knitting. 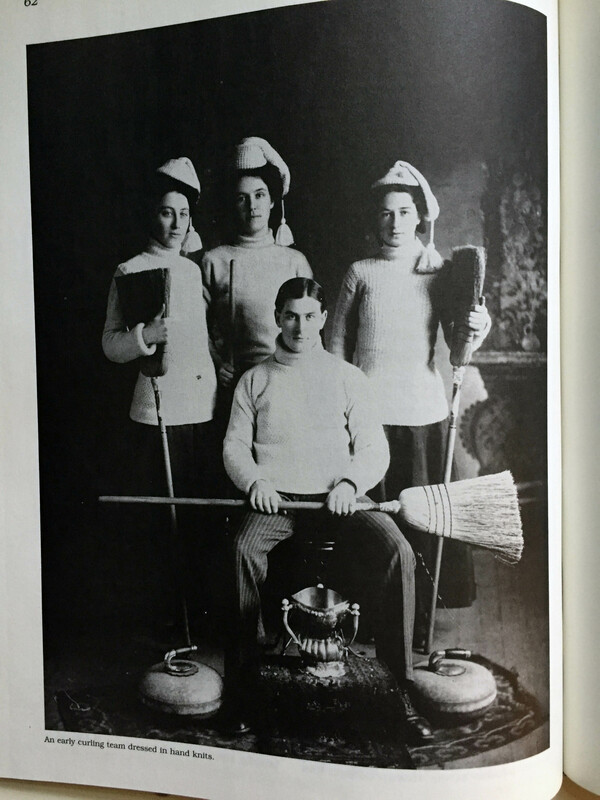 Aran sweaters were not seen until the last 40’s and 50’s. 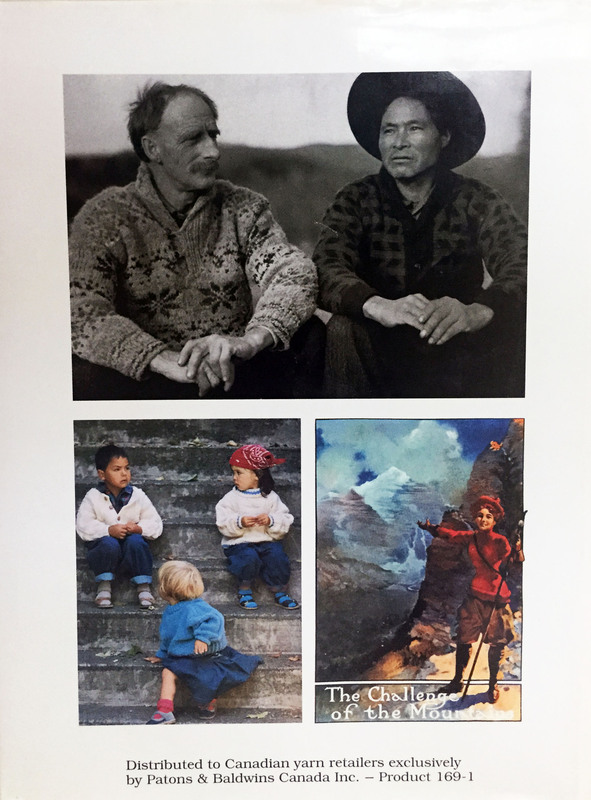 Many of the myths for this knitting style were generated by Heinz Edgar Kiewe (1906-1986). 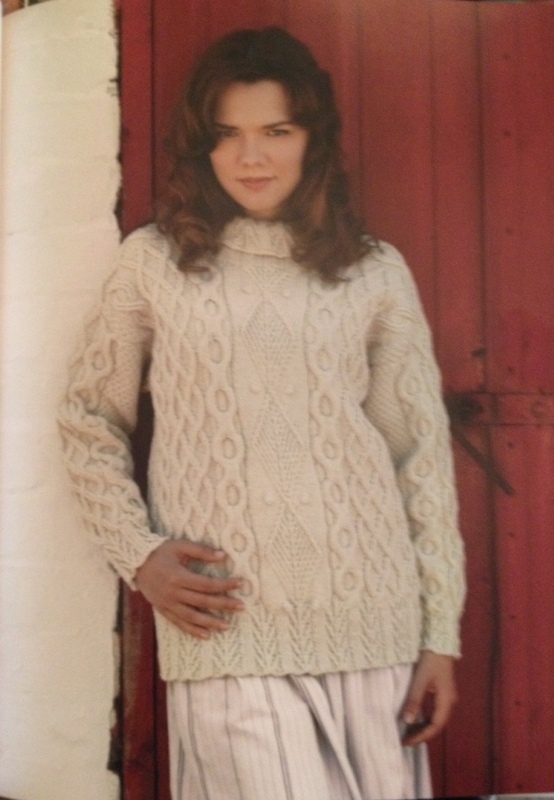 Kiewe organized production of Aran sweaters based on a photo that was published in a book by Mary Thomas (no relation to me). 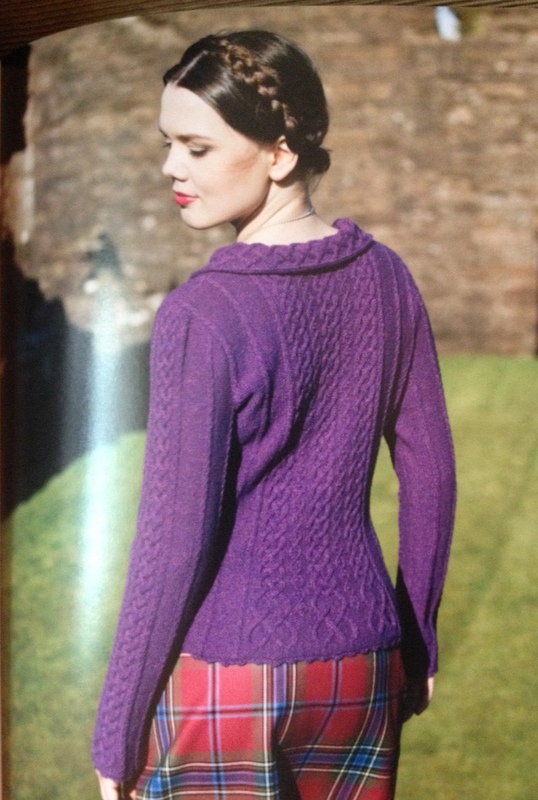 Many of the sweaters were knit in the Western Isles of Scotland as there were not enough knitters in Ireland. So much for the Irish knit theory! 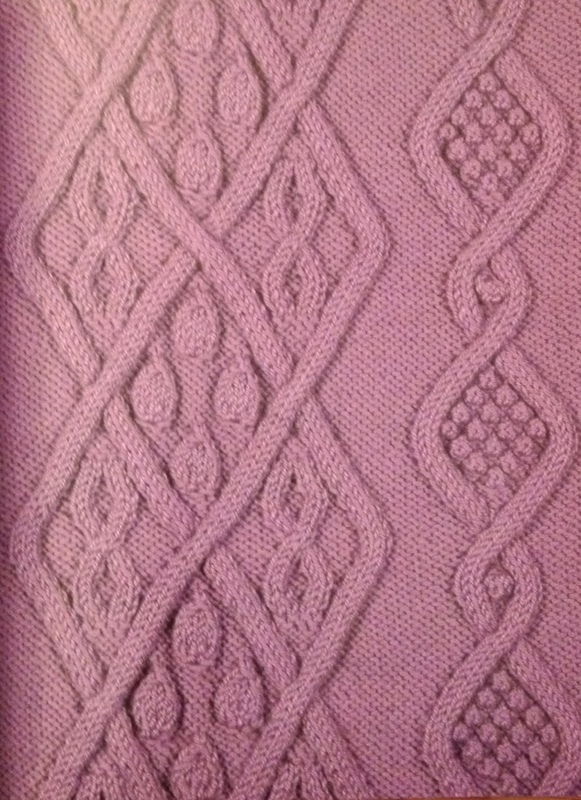 Alice Starmore believes that before her book called The Celtic Collection (1992), “celtic” cabling had not been seen in knitting. 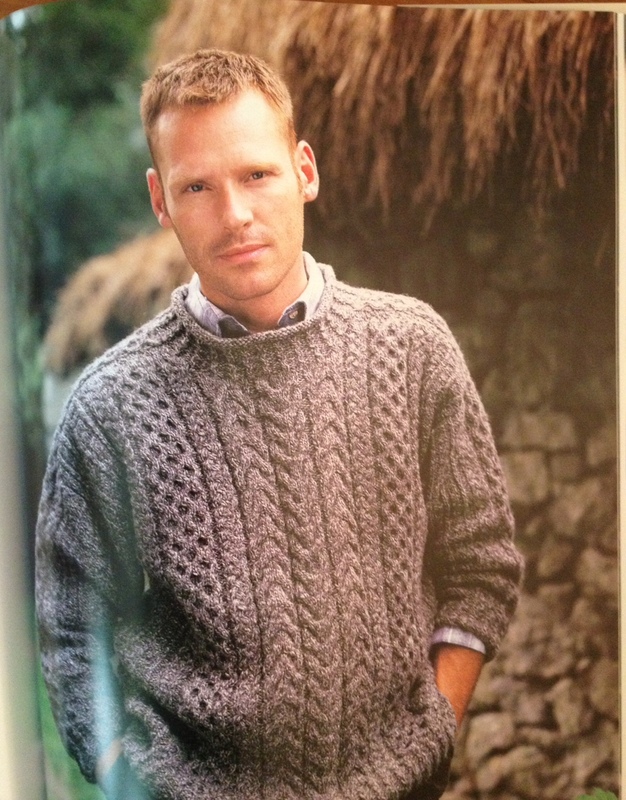 Another myth debunked – Aran Sweaters are not traditional Fisherman’s garments. See my photo of the guys in the last blog post. Patterns for Guernseys, Jerseys & Arans – Gladys Thompson (1955). 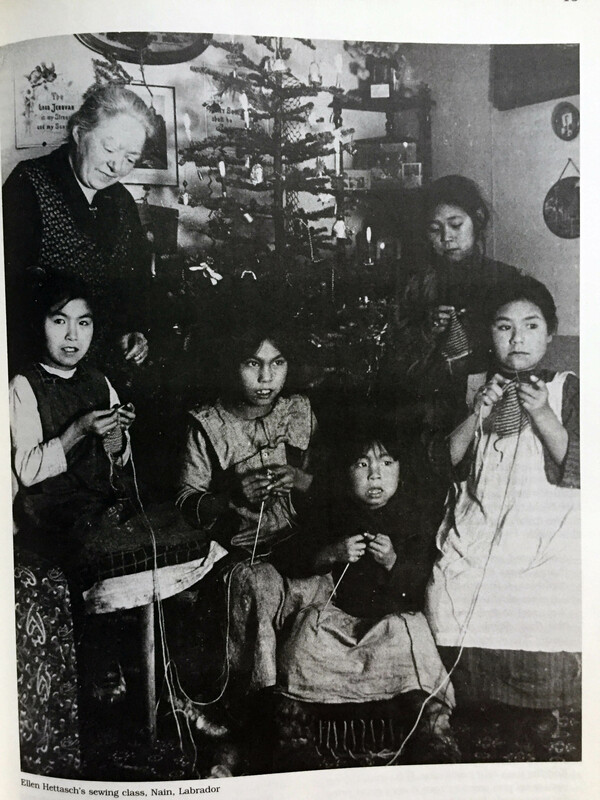 Important in development of Aran Knitting. By the way, Aran was not mentioned in the title until 1971 when published by US publisher. Michael (who I met years ago) cast doubt on Kiewe’s theories. The English Mr. Rutt was also known as the knitting Bishop. 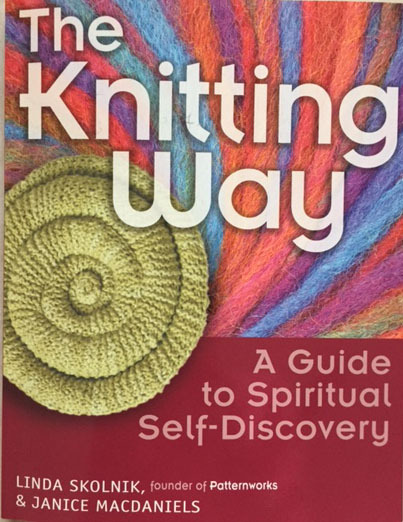 His theory is that the origins of Aran Knitting may have come from the US. Rohanna also talks about the US Boston connection by an immigrant woman. 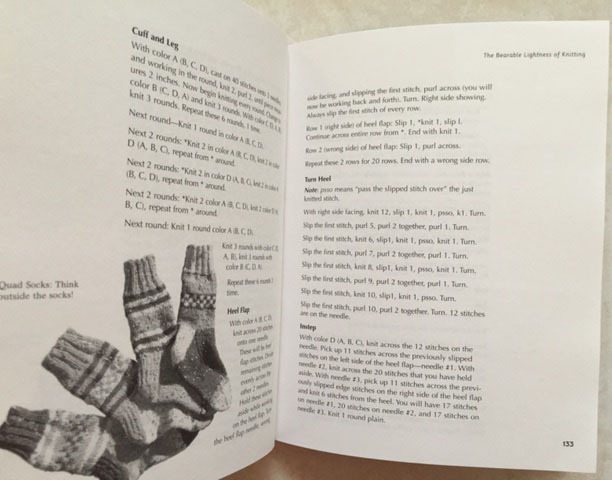 Basically what I could learn is that the fisherman gansey may have been the origin of what we know as the Irish knitting tradition. 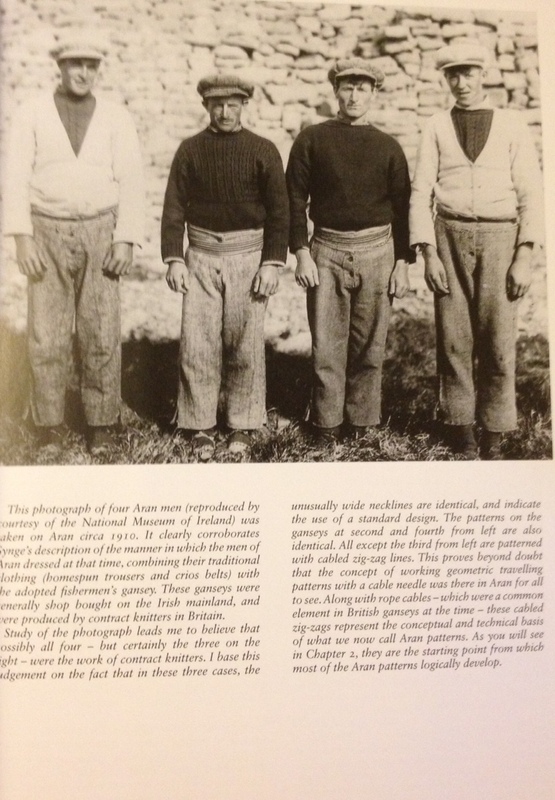 In the next chapter, Alice travels to Dublin to the National Museum of Ireland and talks about 3 garments (photographed in the book) and gives her conclusions. That to come! 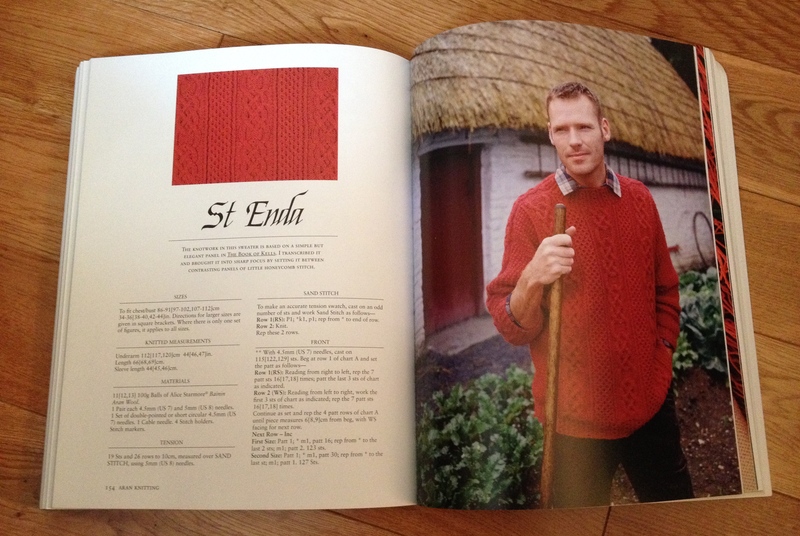 and St Edna (man) sweaters. 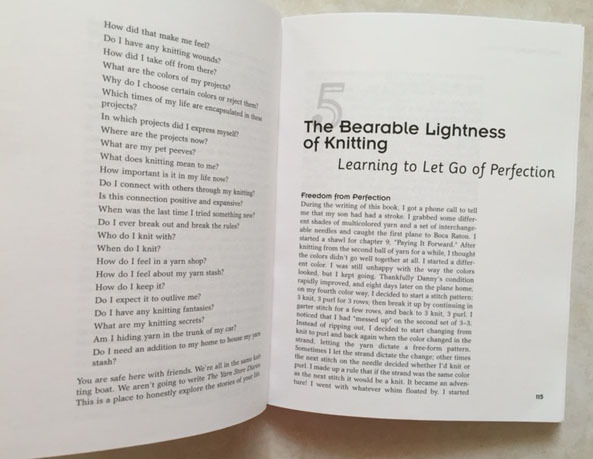 A lot of knitting and ambitious projects!